This exceptionally high quality oil gets great results! Eskimo-3 remains fresh for longer so it has no fishy smell or after taste. It is a completely natural fish oil that has not been chemically modified. 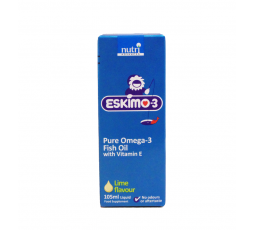 Eskimo-3 is a unique food supplement consisting of natural fish oil and rapeseed oil with vitamins D and E.
Eskimo-3 contains essential fatty acids (omega-3 and omega-6) . Omega-3 fatty acids are found naturally in oily fish such as herring, mackerel, salmon and tuna fish. Natural sources of Omega-6 fatty acids are primarily meat, plant oils, sunflower seeds, margarine and peanuts. The omega-6 content of Eskimo-3 comes from rapeseed oil, which is a rich source of this fatty acid. 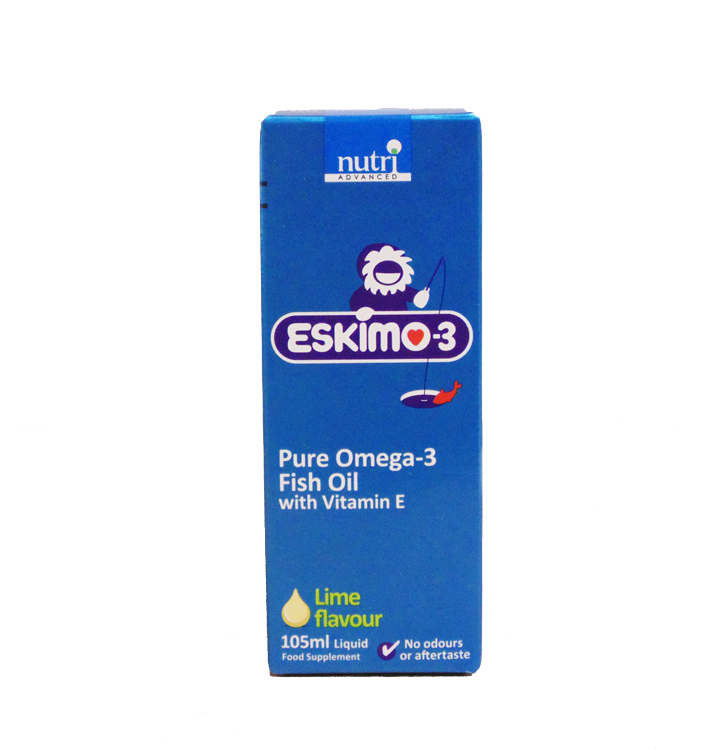 The fish Oil used in Eskimo-3 is from fresh, deep-sea fish and not from cultivated fish. Eskimo-3 is purified to reduce environmental toxins such as mercury and pesticides like PCBs and DDT to well below current acceptable levels. Take one 5ml teaspoon with food or as professionally directed. After opening store in refrigerator and use within 2 months.